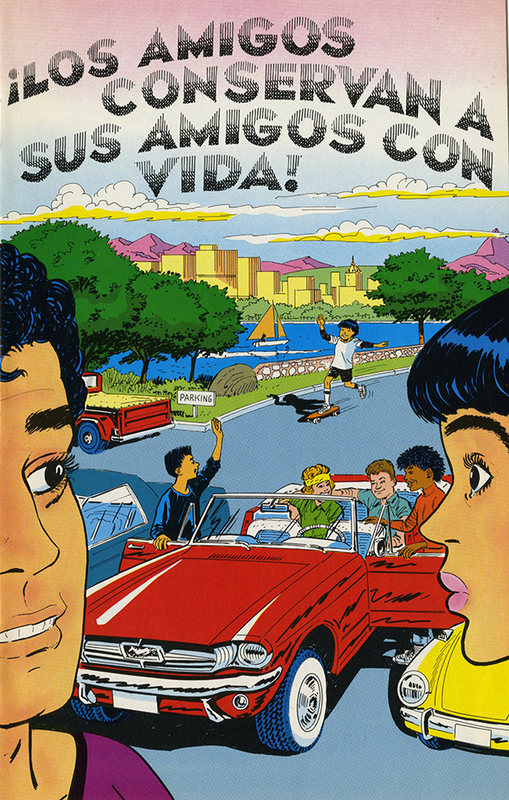 Spanish-language educational comic book created for Mothers Against Drunk Driving (MADD). 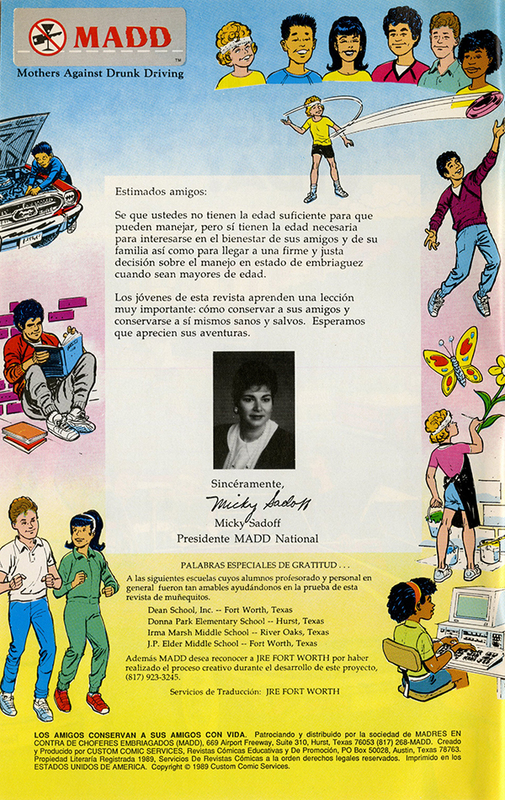 Inside front cover contains a letter from Micky Sadoff, President, MADD National. Founded in 1980, Mothers Against Drunk Driving (MADD) is a nonprofit organization in the United States and Canada that seeks to stop drunk driving, provide services for those affected by drunk driving, prevent underage drinking, and work for stricter laws related to impaired driving. “¡Los Amigos Conservan A Sus Amigos Con Vida!,” Social Welfare History Image Portal, accessed April 26, 2019, https://images.socialwelfare.library.vcu.edu/items/show/355.